It was so exciting to meet Rob (via my LinkedIn network) and have him become a co-author of this collaborative book. While we were putting the book together, he was defending his dissertation for his doctorate— all about how businesses are using social media for business. He actually gathered all his data for his dissertation from his connections on LinkedIn. Rob’s chapter in our book talks extensively about using the principles of improv to expand your social network. His involvement in Improv to Improve Your Business made our book an international project. How cool is that! Rob is in demand as as trainer and keynote speaker. Check out his website to learn more about his programs and his other books. He has made it easy … just click on www.RobDuncan.com. Other co-authors of this collaborative book include: Brent Brooks, Rick Crain, Leah Henderson, Jim Hogan, Deborah Thomas, Scott Williford, Mark Wyssbrod, Rob and myself. Deborah Thomas is widely creative and owner of Silly Monkey International, a boutique training company specializing in innovative training games and business simulations. Here is a comment from Deborah Thomas about working with me on our book, Improv to Improve Your Business. Other co-authors of this collaborative book include: Brent Brooks, Rick Crain, Rob Duncan, Leah Henderson, Jim Hogan, Scott Williford, Mark Wyssbrod, Deborah and myself. I’m fascinated by what helps entrepreneurs become successful. How they generate and implement innovative ideas, how they communicate with their teams AND customers, as well as what keeps them going in the good and bad times. 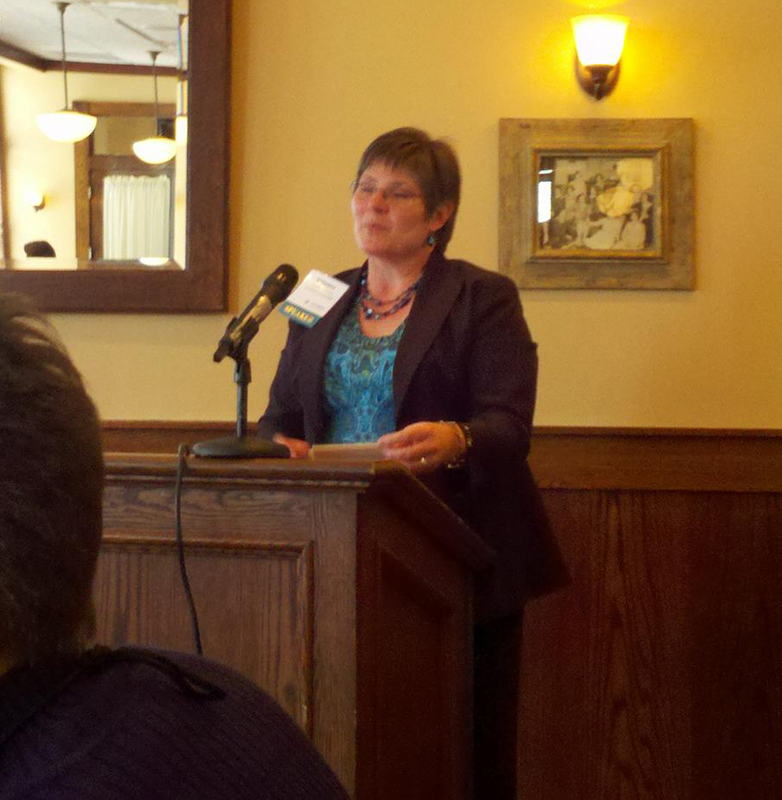 When I heard a presentation about using the principles of improvisation in business, I was immediately intrigued. After taking an improv class with other business owners, I knew the principles I learned would help me develop better relationships, generate more ideas and have more fun along the way. Rockin’ cool! Toward the end of 2010, I approached entrepreneurs and business professionals about sharing stories of how they use the principles of improv in their business. 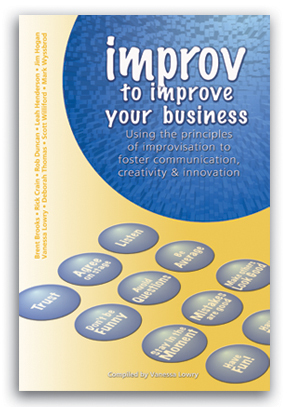 The resulting book, Improv to Improve Your Business: Using the principles of improvisation to foster communication, creativity & innovation, was launched in January 2011. Check out what co-authors Rob Duncan, Deborah Thomas, and Brent Brooks had to say about working with me on this book. Read a complimentary chapter of the book to find out how I use improv in my work as a marketing consultant and graphic designer. 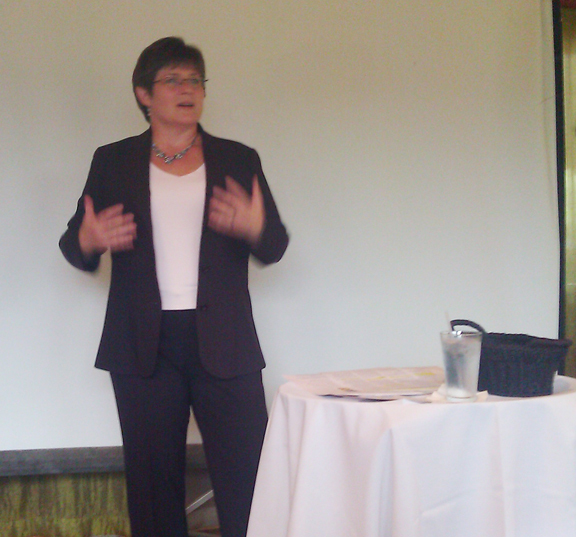 I’m often asked to make presentations to business groups on the topic of using improv to improve your business. Here is an Improv Handout that I distribute at these presentations. Organizations that have invited me as a featured speaker on this topic include: ProWin, North Fulton Chamber of Commerce, American Business Women’s Association (ABWA), WOMTEC, Compelling Creations (for their annual conference), and more. Have an idea for a book? I can help you bring it from concept to creation! Contact me at 678-521-8820. Find out more about me by visiting my LinkedIn profile or watching my video profile.